Art historian Frances Carey looks at the life of German artist Käthe Kollwitz and the inspiration behind some of her works. 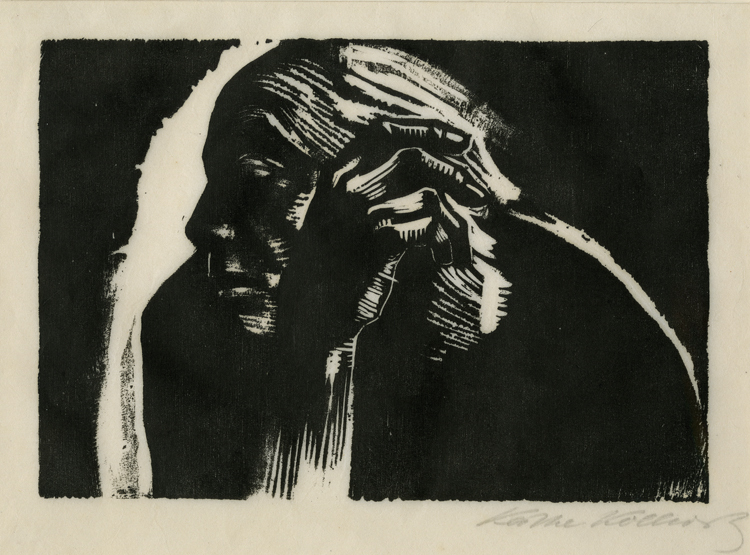 A selection of Käthe Kollwitz's works will be on display in the exhibition Germany: memories of a nation running 16 October 2014 – 25 January 2015. The seated figure of an elderly woman cast in bronze presides over a square in a part of north east Berlin known as Kollwitzkiez, the ‘Kollwitz district’, where Käthe Schmidt (1867-1945) came to live in 1891 on her marriage to Dr Karl Kollwitz. The sculpture by Gustav Seitz, installed in 1960, was commissioned under the DDR (German Democratic Republic) just as the renaming of Wörtherplatz and Weissenburger Strasse had been done in her honour in 1947. The nearest U-Bahn station is Senefelderplatz opened in 1923 and named after another notable figure in the history of printmaking, Alois Senefelder, who is credited with the discovery of lithography in 1796. When I stayed on Kollwitzstraße in the summer of 2009, the formerly bohemian neighbourhood of the 1990s after Die Wende (‘The Change’, i.e. including the fall of the Berlin Wall and reunification) was fast shedding its down-at-heel appearance. All the familiar signs of rising property values and gentrification were plain to see, much more so now: handsome, well-buffed apartment buildings, smart shops, cafés such as Anne Blume (called after Kurt Schwitters’s subversive poem of 1919), and nearby parks and playgrounds with brightly coloured equipment for children. TripAdvisor waxes lyrical about the area as a tourist destination. It is a far cry from the surroundings where Käthe and Karl (d.1940) were to spend almost the whole of their adult lives. Prenzlauer Berg, the larger district in which Kollwitzkiez is situated, was developed as a working-class neighbourhood to cope with the great surge in population after 1871 when Berlin became the capital of a united Germany; by 1900 the population had grown from around 800,000 to 1.9 million. Street after street of Mietskasernen or tenements (literally ‘rental barracks’) were built where conditions were dire. The Frauenkunstverband (Organisation of Women Artists), co-founded by Käthe Kollwitz in 1913, protested that 600,000 Berliners lived in dwellings with five or more people to a room while 100,000 children had nowhere to play. The title of the polemic by Werner Hegemann published in 1930, Das steinerne Berlin: Geschichte der grössten Mietskasernenstadt der Welt (Stony Berlin: History of the Largest Tenement City in the World) captures the impact of this remorseless urbanization. Prenzlauer Berg was dominated by these tenements and the breweries that were the major employers. Kollwitz was rooted in the nineteenth century, drawing much of her inspiration from the narrative realism and emotive power of writers such as Dickens, Ibsen and Zola. She grafted her reading of fiction, whether it dealt with near contemporary circumstances or ostensibly historical ones, onto the direct experience of ‘the lives of others’ who were beset by the uncertainties of casual employment, deprivation, high maternal and child mortality, and often domestic violence. In this challenging environment she found a beauty and a grandeur that became her mainspring as an artist. 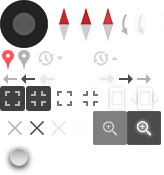 It was a largely black-and-white world, but with many gradations of tone and texture. For the realization of its expressive potential she turned to drawing and printmaking, above all to the example of Max Klinger (1857-1920) and his championing of graphic art as having an important status of its own. His series of ten etchings and aquatints called Dramen, Opus IX (1883) comprised six tragedies set in Berlin among the different echelons of society. Two dramas – Eine Mutter (A Mother) and Märztage (March Days) – unfold over three plates each, while the other four have just a single sheet apiece. Märztage seemed to refer to the failed liberal revolution of March 1848, but Klinger made it clear that he had in mind the contemporary context of Germany’s Social Democratic movement in 1883. Käthe Kollwitz was similarly inspired by Gerhart Hauptmann’s play Die Weber (The Weavers, 1892), which she saw at its first performance in 1893, to create a print series that was more about the conditions of the poor around her, than Silesia in 1844. Her second graphic cycle Der Bauernkrieg (Peasants’ War) executed from 1902-7 and published the year after, used the religious and economic conflict of 1524-5 as yet another vehicle through which to express the heroism of the working class. This series along with her later work after the First World War in woodcut and lithography, earned her significant influence on the development of printmaking in Russia and China in the 1920s-40s and beyond. Within a few years of commencing printmaking in 1890-91 Käthe Kollwitz had demonstrated considerable artistry and technical competence. Ein Weberaufstand (A Weavers’ Revolt) – three etchings and three lithographs completed in 1897 – propelled her to the front rank of artists in Germany. When she went to Paris in 1904 she was given a glowing testimonial for Rodin from Hugo von Tschudi, Director of the Berlin Nationalgalerie. Her greatest champion was Max Lehrs, Director of the Dresden Print Room who both acquired her work for the collection and published the first catalogue of her prints in 1902. He likewise encouraged a curator, later Keeper of Prints and Drawings at the British Museum, Campbell Dodgson (1867-1948). Dodgson bequeathed to the British Museum (which was not then permitted to buy the work of living artists) a remarkably fine body of impressions from the most innovative phase of Kollwitz’s career: none more so than a sequence of three states of the harrowing subject of Frau mit totem Kind (Woman with dead Child) of 1903, which shows Kollwitz’s mastery in every aspect of its accomplishment. The artist and her younger son Peter (b.1896) were the models at a time when her elder son Hans (b.1892) had narrowly escaped dying of diphtheria. The sculptural quality of her treatment of the motif anticipates her later interest in working with a three-dimensional medium which was one of her objects of study in Paris. Frau mit totem Kind has none of the resignation of her later sculpture (1937) of a mother and her dead son, ‘something like a Piéta’, of which the artist said ‘There is no longer pain, only reflection.’ In the 1903 print there is only pain, but however much she drew upon personal experience and observation, it is nonetheless a carefully contrived artistic composition. Kollwitz’s most unwavering commitment was to being an artist: ‘It alone is always stimulating, rejuvenating, exciting and satisfying.’ (New Year’s Day, 1912). Her intensely examined life as expressed in all her work, not just the many self-portraits, her journals and correspondence, is humbling to recall amidst the middle-class comforts of modern Kollwitzkiez. I admire her because she succeeded in doing what a great contemporary artist has advocated: ‘I thought women as artists should focus on how to start, lead, and sustain a creative life. It’s not a question of style or a break with tradition.’ (Bridget Riley, 2004). The exhibition Germany: memories of a nation is at the British Museum from 16 October 2014 to 25 January 2015. Sponsored by Betsy and Jack Ryan, with support from Salomon Oppenheimer Philanthropic Foundation. Accompanying the exhibition is a 30-part BBC Radio 4 series written and presented by Neil MacGregor. In the episode Kathe Kollwitz: Suffering Witness, Neil MacGregor focuses on the art of Käthe Kollwitz, who expresses the loss and suffering of war, especially after the death of her younger son Peter at the front in 1914.